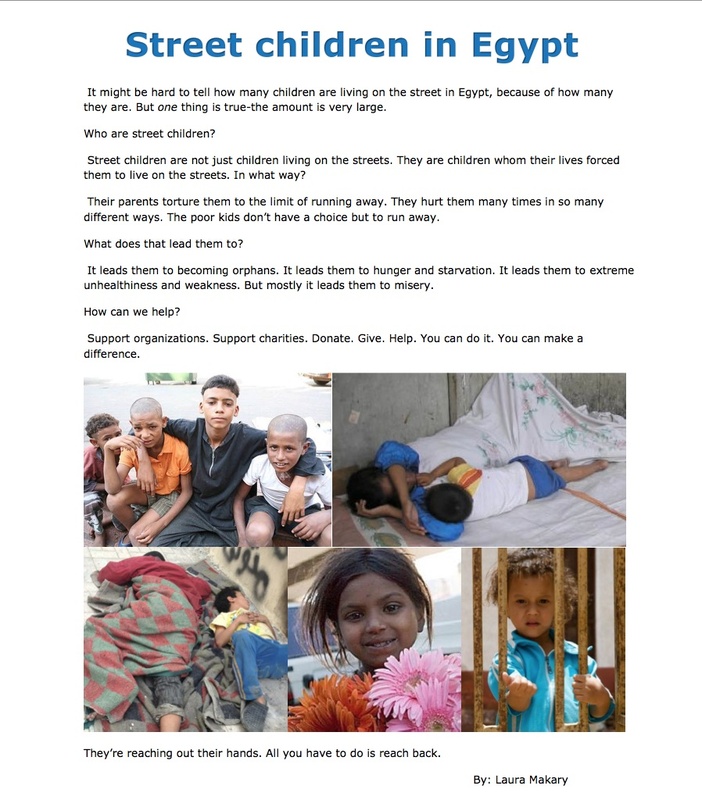 Laura, 11 years old writes her 6th grade project on street children, inspired by this blog.. Thank You! A beautiful 11 year old girl by the name of Laura was inspired by my blog to write her 6th grade project on street children.. Thank you Laura for having a heart that cares, that seeks to understand the pain of others and from such an early age being engaged in their worlds… your love has honoured and humbled me… your direct, simple and sincere message of hope and change are real and the world would be a better place if we could all remember how easy and simple it is to help..